Throwback Thursday came early this week when Facebook decided to take us back with some personalized videos on Feb. 4. In commemoration of the site’s 10-year anniversary, Mark Zuckerberg and his staff decided to make 62-second clips for many of its users. The clips highlight some of the posts and photos Facebook’s users have shared over the years. 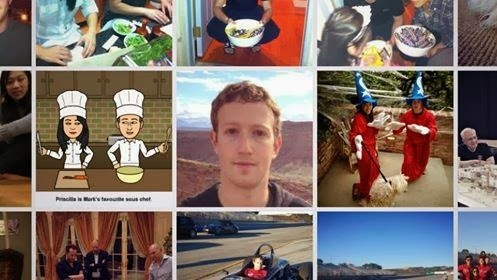 Users get a chance to look back to the year they joined Facebook, see some of those silly first/most-liked posts and some of the outrageously embarrassing pictures they’ve posted over the years — all backed by somber, instrumental music. We All Loved Facebook Till Date. Thanks To Facebook And Mark For This. 1. First Log Into Your Facebook Profile. 2. Now Goto The Given Facebook Link. 3. And Then You Can See Your Movie. 4. You Can Edit Your Movie With Custom Image Selection. 5. Then Just Click On Share Your Movie. 6. Also You Can Use Any Flash Downloader Or You Can Use IDM. 7. Now Upload And Post The Movie In Your Profile. Special Thanks To Mark Zuckerberg - Facebook Creator. i m abbas from jharkhand and i want to join this hacking group so pls join me.